Unity3D is a powerful suite of tools (Project IDE, Code IDE, run-time) for game development. As always, RivelloMultimediaConsulting.com/unity/ will be the central location for deep articles and tutorials, Facebook.com/RivelloMultimediaConsulting (like us!) will engage the growing RMC+Unity community, and for the latest opinions and cool links follow me at Twitter.com/srivello. There is incredible momentum in the Unity3D product and its community. 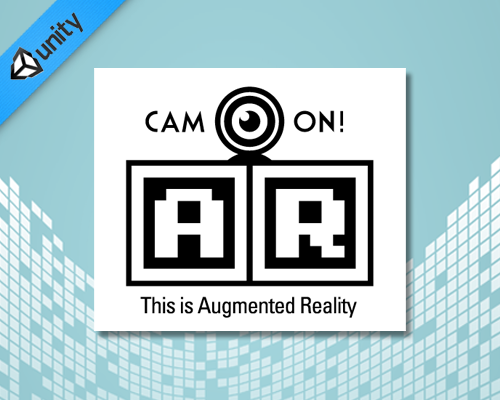 Here is more information on using Unity3D with Augmented Reality. Augmented reality (AR) is a field of computer science that involves combining the physical world and an interactive, three-dimensional virtual world. I originally wrote a complete demo, source code, and article for my client Adobe – “Augmented Reality With Flash“. Now I’ve updated the information regarding Unity3D. In a future article I may make the full Unity demo source code available. While mainstream audiences are now becoming aware of AR, it is not new. Its background is intertwined with decades of computer science development. Virtual reality (VR), AR’s more familiar counterpart, is the replacement of the user’s physical reality (particularly that which is experienced through sight and hearing) with a computer-generated reality. The idea of a virtual experience is exciting — creating entertaining and educational sensory encounters that do not exist in our everyday lives. From a consumer standpoint, it seems that AR advances have come out of nowhere to surpass VR advances. The acceleration in AR technology is due to two major factors: First, users are still experiencing reality, so believability is easier to achieve. Adding simple graphics (such as text or simple shapes) and color effects (such as night vision or thermal vision) to reality creates a better user experience. The user is still seeing a mostly familiar world. Second, this more subtle use of computer graphics is less expensive with today’s technology, making it more feasible than VR. Let’s take a look at augmented reality, its current uses, and its future potential. The video game industry has released major augmented reality products for more than a decade. The Eye Toy for Sony PlayStation 2 and 3 takes input from an inexpensive video camera and composites the live video feed with CG onto the TV screen. This toy detects the user’s body position in front of the camera as an alternative input method to the typical joystick or gamepad, deepening the user’s immersion into the game world. Detection schemes continue to advance, allowing for more engaging interaction. There are AR applications outside of console games, including military and consumer products, too. Night-vision goggles and targeting-assistance technology help marksmen in battle, and children’s stories come to life with AR-enhanced books. The uses are vast. With AR-enhanced books, each page of a real-world book is outfitted with a marker — a pattern that is detectable by AR. 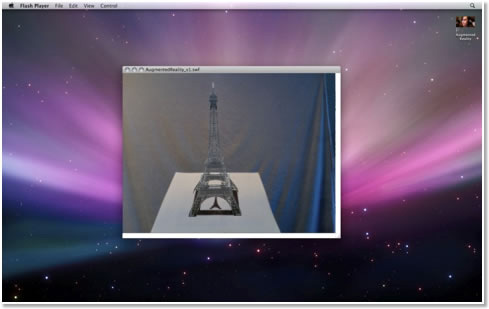 As the child turns each page, a computer is able to place a virtual 3D animation on top of a physical image printed on paper. While the marker is often an image as in this example, it could also be the user’s face. Marker Detection – The marker is located by the application. Typically the device webcam is used. 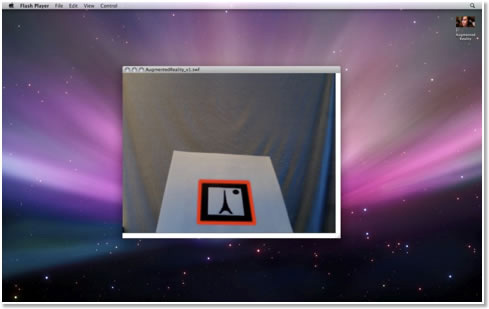 The webcam inspects the physical reality near the user to find a predetermined marker (image or the users face). Transform Mapping – The transform (position, rotation, scale) of the marker are interpreted. Move the marker and the transform updates. 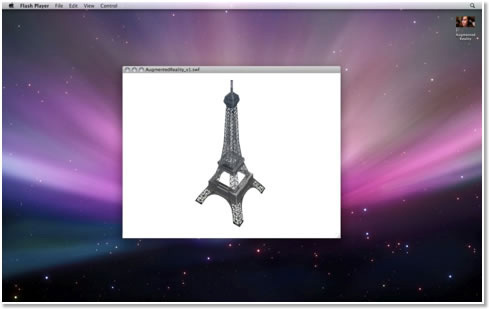 Rendering – Now the 3D model is updated to rendered to the screen. There are pros and cons to each. In a future article, I may evaluate each of these options. Some of the key differences are cost, ease of use, completeness of documentation, breadth of features, and accuracy (speed) of tracking the marker from the camera and transforming the model. Each package surely has its own workflow and API, however the major concepts are the same. So once we choose a package, we follow this the basic setup. Generally speaking your loopToDetectMarkerAndUpdate3D function will be called 60 times per second. Each frame the latest frame of the webcam footage is grabbed. The AR package runs detection on the frame. If the marker is detected the AR package will update the position, rotation, and scale data. This modifies the 3D model so it appears to be at the same position in the user’s physical space as the marker. The resulting effect is nothing short of amazing for first-time viewers.